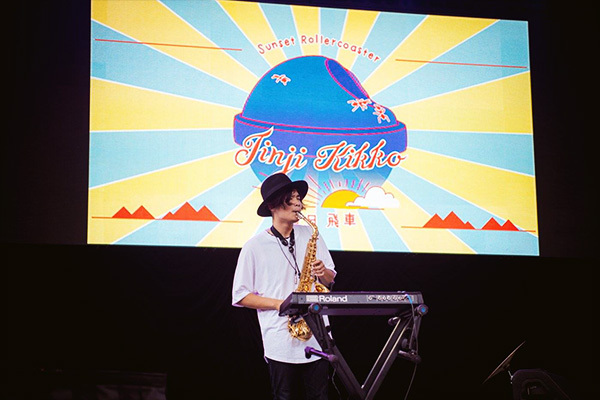 A blissed-out amalgam of Motown’s golden era and mellow ’80s-style synth grooves, Taipei-bred five-piece mavericks Sunset Rollercoaster’s Jinji Kikko EP evokes classic American sounds without empty mimickry. One minute, lead singer/guitarist Kuo’s soaring falsetto recalls The Stylistics’ Russell Tompkins Jr.; then, he drops back to Earth for a gravelly Lou Reed murmur (as he showcased in the group’s blues-soaked 2011 debut Bossa Nova). Which raises the question: How did a soul-psych outfit from Taiwan get so far into different aspects of retro American pop culture? “The Internet,” Kuo says bluntly. “Ten years ago, I was surfing the Web and clicked a ‘related links’ page, and ended up listening to Velvet Underground. I was like ‘Whoa! What is this? !’ It sounded lazy, a little skewed, but awesome!’ That’s where it started.” The 28-year-old old-soul musician, who also cites influences as far afield as The Eagles and Guns N’ Roses, credits a raucous, now-defunct DIY venue with providing the space for Sunset Rollercoaster to bloom. Despite their newfound musical success and their ability to craft a gripping sound distinctive from their musical peers (“I think we’re the weirdos. What’s popular [in Taiwan] is indie pop, Chinese mainstream, and K-pop. We sing in English, but in Taipei, most bands sing in Mandarin”), the band decided to split. “We wanted to try something else,” Kuo says. That ‘something’ was a dark industrial band called Forest, a group known for static, noise, and churning electronic beats over moody drum machines. It’s a totally different project in every way from Sunset Rollercoaster, one that Kuo formed with his long-time drummer, Lo Tsun. The group’s new musical affections are on full display on the EP’s three songs. “New Drug,” which arouses a sensual quiet storm à la Isley Brothers’ “Between the Sheets,” is full of twinkling chimes and grooving bass; the dreamy “Burgundy Red” feels like taking a stroll down the Southern California shore. 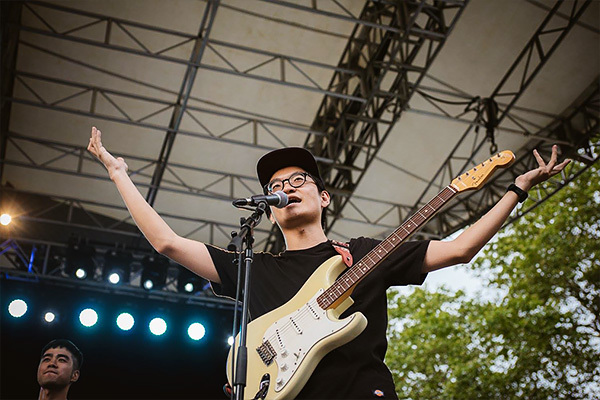 Their musicianship certainly showed at New York’s Taiwanese Waves showcase, where the group performed in front of a packed Central Park Summerstage audience, and experimented with swirling sax solos and crystalline guitar riffs. 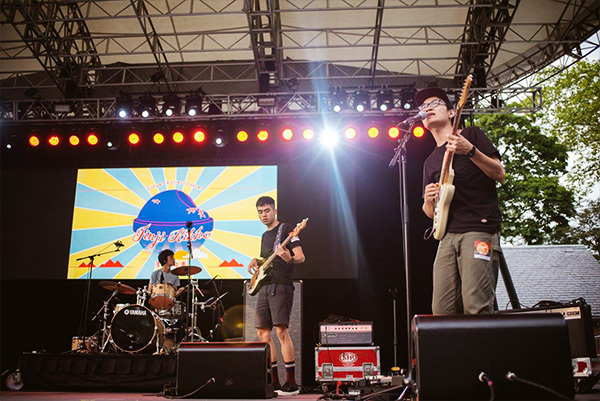 Summerstage was their stateside debut, and also their first visit to New York City. The band will continue their US tour which extends to Canada and Japan until November. Later this year, they plan on recording their second LP. However their eclectic sound continues to change and grow, the results will surely be one of a kind. This entry was written by Editorial, posted on August 10, 2016 at 11:07 am, filed under featured music and tagged feature, Psychedelic, Soul, Sunset Rollercoaster, Taipei. Bookmark the permalink. Follow any comments here with the RSS feed for this post. Post a comment or leave a trackback: Trackback URL.